Where does your passion for Customer Experience start? I started at Autoglass in accounts 14 years ago, having previously worked in sales at Interbrew. I worked with our corporate partners and customers to ensure our invoices were paid on time. I progressed to head the department and became responsible for the Customer Experience we provided at that stage. I enjoyed the corporate/client interactions, so I moved to become a senior business manager. This gave me great insight into the corporate relationship. I then had my twins so needed to rethink being on the road so much. So when I came back I became a Credit Manager, which I enjoyed. I could see where things went wrong for our customers and so started to push to improve our processes. At the same time, I noticed there was a Head of Customer Experience advertised internally. For me, that was a perfect opportunity because I wanted to improve the experience for our customers at all stages. Do you feel having held a few roles in the company has helped you in your current role? I think it has. I have the advantage of a rounded perspective when I look at Customer Experience – be that for consumers or client partner journeys. I know the whole journey so can draw upon those experiences. I love the fact that I know the journey from the beginning to the end including the client partner side of things as well. How does your role impact your corporate partners’ Customer’s Experience, for say Direct Line? I’m always aware of the challenges our partners face with their customers, so I keep close to our partners. But if we are getting it right for our customers, we are getting right for our corporate partners too. Practitioners in CX usually have a service background, but you have a commercial view on things. Does that change the business perception of Customer Experience? It helps, but we have such a passionate workforce here at Autoglass, with all of us focussing on doing the right thing for the customer. Putting customers first is what we do. Of course I can put myself in others’ shoes internally, because I’ve been there, which helps them see what we are trying to achieve. 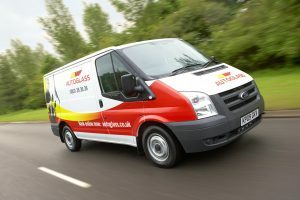 But the passion across Autoglass is one of the things that has kept me here so long. Everyone puts our customers at the forefront of their thinking and tries to solve people’s problems with real care. You’ve been in the role as Head of Customer Experience for two years. Would you say that Customer Experience has progressed much in that time? We’ve learned a lot over that time. We’ve taken operational learning forward, so we can get it right for the customer first time, which is what our customers want. We’ve been able to make improvements based on that right first-time philosophy with changes to our working practices. As a framework, we have a set of five customer personas we have developed, which we use as a focal point for training staff across the business in how to interact with customers in different ways to achieve complete satisfaction. For example, some customers are most interested in being able to easily book an appointment online without having to speak to anyone; others are interested in having their car off the road for as little time as possible; and others are happiest when we assist them with each step of the booking and service process. The other thing we’ve undertaken is to create a more cross-functional team working dynamic. Within the last couple of years, we now join departments up to work together towards a common purpose for our customers. This gives people consistency, with the same voice of the customer understanding. We work collaboratively and encourage feedback to be able to make those improvements. In terms of taking CX improvements forward, how does it work at Autoglass? An Autoglass technician repairs a chip in a windscreen. Well I’m the business lead for taking improvements forward across all our journeys. I report to the Customer & Digital Director, but I also attend the supply chain and operational monthly meeting so have a dotted line to the Supply Chain & Operations Director. I participate in all team meetings, which is great. Although I have my own team, I’m very much a part of others’ teams too. Within my own areas of responsibility are the Head of Service Recovery and the Billings Validations Manager. The reason for these areas is that both those departments highlight where things haven’t gone right for the customers. Service recovery is where the complaints come in, so it keeps me really close to those areas. I can then see the insights and can sit with the team to make improvements. Just recently I’ve attended the sales and marketing meeting, so we keep it really close in terms of the way we work on customer improvements. Now you’ve seen this approach work first hand, is it an organisational structure you’d apply again? Yes, because you get to hear about things first hand. I get to hear what’s not working quite well enough. It also keeps you grounded, because whilst it’s important to look forward, you need to know what’s going on with your customers now as well. What about the little things, do they get attention in this structure? Sometimes we will make an improvement which is great for our customers but was difficult for our people to deliver. So, we have a ‘Speak to Sarah framework,which provides employees the opportunity to send any frustrations to a central point if something didn’t go quite right, and provide new recommendations for further improvement. The Service Recovery team manage this feedback. It complements our more structured Voice of The Customer set up with Effort and NPS measurements tracked. It allows us to capture more. I feel it’s a key point of customer experience to listen to your employees, and this achieves it. What about client partners, does the experience vary for them? We listen to the motorists, which creates an extra layer of insight which we can then feedback to our client partners. I attend our client partners sessions. 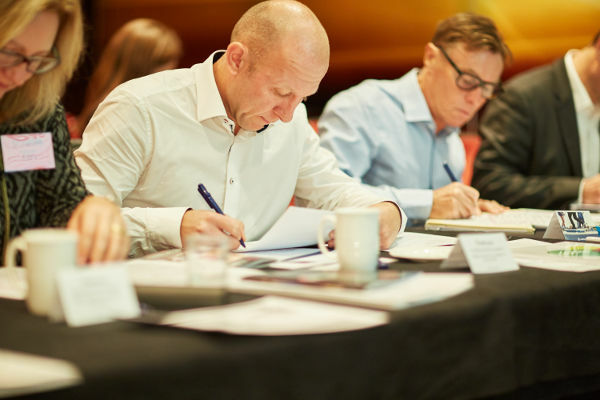 We work together to review the various data insights we all have, to arrive at mutual improvement plans which benefit Autoglass, the motorists,and our client partners. That’s where we look at insights through the customer personas we’ve created, which makes the insight more accessible. We have a fleet persona too. Our corporate clients love the fact that we are showing an understanding of their customer segments through our personas. How would you describe the strategic role of Customer Experience at Autoglass? For me, it’s is our number one priority. I’m constantly pushing others in the business to have the same purpose; to focus on caring about customers. I’m always asking ‘how are we making a difference?’ It’s a core part of everything we do, and I represent that through our cross-functional groups and senior management teams. But it’s more about making sure the customers voice is heard at every stage and everyone considers the customer in their role. Our Customer Experience strategy is focused on ‘always delivering the easiest and best Customer Experience’. For me it’s about everybody else having that constant focus. It’s most important that everyone else feels the same. You mentioned customer effort. What KPI’s are on your CX dashboard and how will you measure the success of the journey you are on? Our NPS is 74, which we are very happy with. Our effort score is 94 percent as well, which is ‘customers are satisfied we’ve resolved their issue for them’. The effort score is applied across all channels. We are looking to capture specific touchpoint feedback rather than relying on the verbatim. Our technicians are brilliant, so if you remember something it’s likely to be them. We want to start capturing feedback related to other touchpoints as well, so we can get that feedback across the entire journey. I want to understand in more detail at each stage of the journey what we need to tweak to meet our personas expectation. Needing your windscreen repaired or replaced is usually a stressful situation. So we want people to feel, when they call us or go online, that we are solving their problems with real care. I want to listen in and recognise the personalisation and usefulness of our interactions at these less pronounced touch points. Keeping momentum on CX is often a challenge. Some are finding the ROI a challenge to prove. You are keeping it alive and thriving, what would your advice be to keep CX a priority focus? Everyone has a part to play. Continually motivating our customer facing colleagues by recognising when they deliver consistent as well as exceptional service is key. It’s something Autoglass do well – recognising consistent service. We have an internal recognition scheme where individuals can nominate each other forgoing beyond or doing their job well. That gets shared on our internal bulletin, but where appropriate it gets shared on social media too. This is about making our people feel valued for the contribution they’ve given serving our customers. We also have the Belron (parent company) Exceptional Customer Service Award across all group companies across all the countries, so there is a bigger recognition to aim for. Recognising and rewarding your people helps keep Customer Experience on the agenda. How does technology contribute to your overall customer experience? Technology is key. We have a comprehensive technology development roadmap in place. We have an R&D function in Belron looking at the tools our technicians use as well. We have just introduced an improvement related to the calibration of advanced driver assistance systems (cameras and sensors for example, emergency braking). So, any repair on a windscreen means those cameras need to be calibrated as well. But to take your car to one site for the windscreen and another for the cameras is a pain. What we’ve done is to work with our partners, so we can calibrate at the same time we fix the windscreen. I didn’t know I had these cameras, and some of our customers don’t know until the windscreen is damaged either. We are in a great situation where we can identify it at the initial call and can help manage this better for our customers. We’ve even been looking at how you can use Alexa to book our vehicle repair. Some personas are happy to talk to a chat bot if it gets the answers they need. We are also beginning to do a 360 video pre-and post-inspection of any work we’ve completed to give customers confidence in the quality of the work we’ve undertaken. This is where technology can really improve the experience the customer is having. Is there a specific Employee Experience focus at Autoglass or is it part of the culture? It’s a bit of both to be honest. We want it to be part of our culture, but we do have a deliberate strategy to drive it forward as well. In the same way as I’m Head of Customer Experience, we have a Head of People Engagement too – Rachel Gedge. 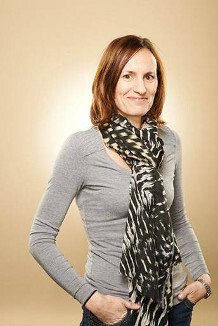 Her focus in that role is making Autoglass the best place our people have ever worked. She will challenge the leadership to ensure we are working towards that ambition and that our people are focussed on it. As well as our customers, our people are very important to us. For instance, we are going through a transformation in our Customer Experience Centre and that’s about making it the best place our people have ever worked. At the forefront of our mind we are always asking ‘is it the best place our people have ever worked?’ and ‘will that deliver the easiest and best experiences for our customers?’ We love the culture here and our people and our customers are important to us. From your own personal experience, which brands have inspired you? I’m very hard to please as a Head of Customer Experience, But I do have a favourite – Fitbit. I spend all day talking to people so when I go home I want to deal with companies digitally and not have to talk to them. I had a problem with my Fitbit so contacted them on chat. It might even have been a chat bot but I didn’t mind because it felt personal. I had expected it to be a problem, especially because it was a gift and I had no receipt, but they were brilliant. It was so easy; they didn’t question what had gone wrong. They sent me a new one, and told me to dispose of the old one. I expected it to be a hassle because it was a present, but the service was brilliant. If any readers are looking to embark on a Customer Experience strategy, what advice and wisdom would you impart to increase their chances of success? Firstly, I would say listen. Listen to your customers and listen to your people. Our people have most of the answers in terms of knowing what needs to be resolved and our customers add the context. Also, make sure your vision is clear and keep it simple. That way you will ensure everyone is aligned. With Customer Experience it’s a continuum. It’s neverending. So, its important to continue to keep on listening otherwise you will miss out on what now matters. Scott, thanks very much for agreeing to meet up and share with readers the value and role Customer Experience is playing for the Bank of Cyprus UK. The crossover of commercial and customer in your role must give you a great perspective on creating ‘value’, but first, for those less familiar, perhaps you wouldn’t mind starting by sharing an introduction to the business. Scott: The bank’s been operating in the UK since 1955. Originally it was a branch of a parent company, but now it’s a regulated company in its own right, authorised by the PRA and regulated by the FCA and PRA. The business has evolved over time from its origin of being there to service the Cypriot community in the UK. Today we offer a range of deposit products and banking services for both the retail and business markets. We have developed a deep expertise in business lending, such as professional Buy-To-Let and Property Development Financing, and we have recently extended our range of products to include residential mortgages. We are recognised by property entrepreneurs, business owners and retail customers as a challenging alternative. Our mission is for our customers, communities, and our people to prosper. We are a business based on the strength of our people. Our people are key, not only because of our community-based heritage, but because they make our service stand out and differentiate the bank. Relationships are integral to what we do. Do your customers typically have an association with Cyprus? And how, if at all, does that impact their banking Customer Experience expectations? Scott: A significant proportion of our customers do have some connection to Cyprus, which is unsurprising because of our history – it’s where we’ve come from. 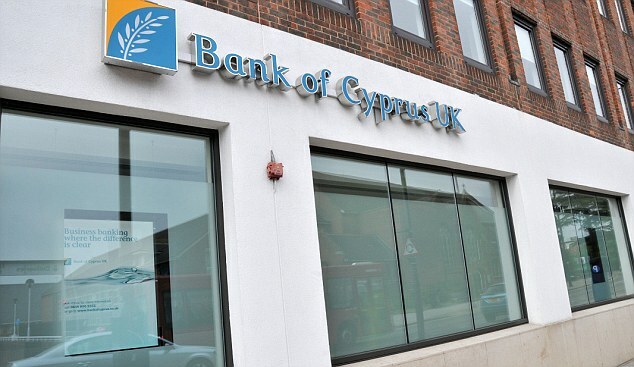 We also have a significant number of Cypriot residents who hold an account with us. The link to Cyprus continues to be important to us. For example, we help meet the needs of Cypriot students coming to study in the UK, by allowing them to set up accounts prior to relocating here, which makes for a smooth arrival in the UK and start to their studies. However, today we find ourselves extending way beyond this. We have a growing number of customers who have no connection to Cyprus. In addition, we are extending our coverage throughout the UK. We have opened several offices throughout the UK to support our business growth. 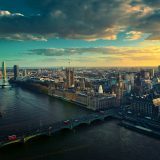 In addition to London and Birmingham, we now also operate in Leeds, Manchester, Bristol and Brighton; and these locations were chosen for their proximity to businesses that would benefit from our offering. We’ve started from a community, but we have grown, due to the quality of our service. Our customers have the same expectations of their bank as anyone else, and our purpose, first and foremost, is to fulfil our customers’ needs and help them realise their ambitions. Having had the pleasure of meeting your Chief Executive Nick Fahy a couple of years ago, I know he is very committed to adding customer value through Customer Experience. How important would you say it is to have backing from the very top? Scott: Absolutely critical. No one else in the business will take customer value seriously if it doesn’t come from the CEO and his top team. For example, the first item the senior team discusses at every meeting is the customer. It’s always the first topic on the agenda and permeates through other agenda items such as sales, regulatory changes and competitive/economic landscape. Having worked at several retail banks, I haven’t seen that anywhere else. That makes a strong point to the rest of the company. According to research by Prof Dr Phil Klaus, companies can be classed as Preservers, Tranformers, and Vanguards, according to their commitment to and proficiency in Customer Experience. With those at the top end maximising the ROI from CX. Where would you say you are against that scale? Scott: I’d say our ambition is to be a Vanguard. We are beyond what I’ve seen at other companies. We don’t just focus on fixing what’s broken. We are more than preservers, I would say we are a Tranformer because it applies to everything we do. Whether developing propositions, improving processes, optimising customer journeys, or other essentials, we are always looking to improve the experience for our customers. For us CX is not a project, and it can’t be seen as just that. ‘Customer first’ is one of our five cultural values of the business. It impacts everything from our induction process, through to the business strategy, development plans, roles, and responsibilities. At UK board level, the customer agenda is presented on a quarterly basis. We provide updates on our progress and our KPIs in CX which are our regular NPS and Effort <CES> scores to show how we are progressing. We also have additional metrics, but these two are key board views of Customer Experience performance. We share what’s been delivered and what’s planned in the in next quarter with the board. They will challenge our plans to make sure we are ambitious enough. However, they will also make sure we operate at the right pace so we don’t over promise. By doing so they are safeguarding the bank’s reputation. You’ve been in your role for 18 months. In your time, how has Customer Experience moved forward? 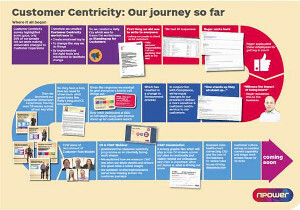 Scott: The set-up of our Voice of The Customer programme happened just as I arrived. This programme delivers a benchmark for measuring customer experience. Using the programme, we’ve been able to build our understanding of what drives key metrics such as NPS and CES. We’ve built other KPIs which, along with these two, are now tracked, reported and action plans are set each month for every function in the business. Our people care about hitting, and exceeding, targets because they know it means customers are happy with us. There is a great ethos in the company – the customer is always central to what we do. We run customer forums with employees from all business functions. We look at the anecdotal feedback we receive from customers, not just complaints but mentions of inconvenience, as this is an early indication of where we can improve. As a retail banking company, how are you finding the arrival of new ‘Internet of Things’ technology and the adoption of self-serving customers? Scott: We will achieve our vision because of our people. It’s about our people, being supported by appropriate technology. If we can use technology to make doing business with us easier for customers we consider it. But we are careful how we develop things. More important is the employee engagement aspect. We need our employees to understand how technology helps our customers to bank with us. As we extend our reach with our small business proposition, we will be evolving our digital support accordingly. As customers come on board through pure digital channels they will have different expectations of the experience we provide. We must adapt to that as well. How do you keep the customer-first agenda alive within the organisation? What tools are you using to keep customer insight fresh and optimised for decision making? Scott: ‘Customer-first’ has been a valuable focus for the last 18 months. It’s embedded from induction, but we also have regular awards for teams, for individual, for doing the right thing, for being your best etc. It’s important to have the customer embedded into celebrating success because it engages and motivates people. We also run staff forums and surveys to gather suggestions on how we can do more for customers. We have very good VoC feedback rates, but staff hear things that aren’t always captured in VoC feedback, so we operate multiple means of feedback. Being transparent about our customer experience performance is important, so we communicate directly with our customers on improvements we’ve made as a direct result of their feedback. We’re also developing a new set of ‘customer promises’ which we hope to launch soon, but these must be meaningful to our customers. In addition to our relationship NPS measurement we’ve chosen to focus on Customer Effort rather than a transactional NPS. We feel it’s more meaningful to get a read on how hard or easy it is to do something with us. In retail banking it’s often the ‘stress’ and ‘anxiety’ points of pain for customers when your CX must work its hardest. Is that fair or do you have positive moments where the Customer Experience can shine through? Scott: I’d have to agree. Customers just want their bank to work the way they expect it to. Customer Experience is mainly focussed on reducing anxiety and stress points which can occur in customer journeys. We are building our taxonomy to better understand context and sentiment as well. Customers want us to take care of issues. They expect us to take action when it goes wrong for them. You need to make contact as easy as possible whilst ensuring good security. You make a real difference when you make the customer experience simple. Reflecting on the year behind us, are you where you want to be with your CX strategy? Scott: Yes, we are very pleased. There are many regulatory changes occurring within financial services, particularly with the arrival of PDS2, GDPR, etc. All these initiatives directly impact Customer Experience. It is essential that we keep the Customer Experience in mind as we incorporate and adapt to new regulations. Ultimately, these regulatory changes are opportunities for improving the Customer Experience. This highlights how far you’ve come with Customer Experience to be considering customers along with tech advancement and compliance adherence. Do you see Employee Experience as an essential part of this as well? Scott: Yes, Employee Experience goes hand-in-hand with Customer Experience. We are always trying to improve on our Employee Experience and we are looking at how we improve team working across business units and work more closely together. We are creating an internal service culture – serving one another. Which includes looking to embed awards and remuneration to make CX more than a number. With an effective employee engagement model in place, employees can do even more for our customers. As you are making progress with Customer Experience, who do you look to for inspiration? Scott: We obviously keep an eye on our direct competitors, whether they are dealing with business or retail customers or both. We are all striving to differentiate ourselves from the big banks by providing a better Customer Experience. Beyond this we share great stories throughout the business based on personal experiences about the differences people can make in almost any industry. We care about our people so it’s important to find and share good evidence of CX that reinforce the importance of personal service. As CX matures at the Bank, what will become the most important focus? Scott: It is then about keeping it alive. When you’ve made the important changes, it’s a marginal gain business. I liken it to Dave BrailSford’s approach with the Team Sky cycling team – get the fundamentals right and then look for one percent improvements in areas that are being overlooked by others. The cumulative effect of small gains will add up to a remarkable improvement. If we can ensure we have good levels of interaction, and keep delivering small and meaningful changes to delight our customers, we will be a success. This will also make sure our employees are engaged and enthusiastic. It’s important not to have CX tucked away as another function. It has to be embedded across the business in order to sustain CX and succeed. Finally, if you had the chance to go back and tell yourself one piece of advice when it comes to driving CX forward, what would that wisdom have been? Scott: I would say gather even better quality data on customers, much more beyond the transactional level normally associated with banks. For instance, enhancing your data with social media sentiments relating to what matters most in customers’ lives, away from their transactions and interactions with us. All you are trying to really do is understand what your customer expects from you and how you can exceed those expectations. In the latest in my series on CX leaders, I caught up with Customer Experience Director at intu, Roger Binks to hear how their focus on customer is driving positive change. 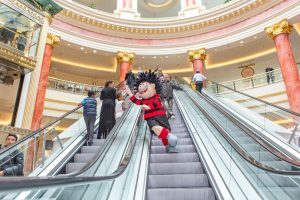 With 400 million customer visits and over 35 million unique customer visits a year, intu’s scale and expertise gives the business a unique insight into today’s consumer and what they’re looking for from their shopping experience. To understand the value of Customer Experience to intu and how they are redefining the shopping experience for consumer’s, we caught up with Roger to get the insight at intu. CB: Roger, we’ve probably all experienced an intu shopping destination. Whilst I’m aware now of the positive efforts made to enhance the experience, when did this become a priority for the group? RB: Really this became a priority for the company back in 2011, an exec level team then spent a year working on a strategy that launched in January 2013 alongside the physical rebrand to intu. This strategy brought together 15 separate shopping centres under one, consumer facing brand for the first time and was focused on creating and delivering a uniquely intu customer experience. I then joined the company in February 2013 as intu’s first Customer Experience Director. For both the shopping centre and retail industry at the time, this was a bold step but one that has really paid off in terms of clearly differentiating intu and helping to build loyalty within our customers. CB: So, as we arrive in 2017, how far up the agenda has customer experience climbed? RB: Customer experience sits at the heart of what we do at intu, every department thinks about the customer when planning and delivering their plans. We introduced NPS in 2014 and it’s now a KPI that is discussed at operational board meetings as well as customer experience and marketing meetings. CB: Can you share the Customer strategy underpinning your progress? RB: It’s quite simple, and to quote our chief executive, our purpose is to put a smile on the face of our customers. We want them to be happier after a visit to our centres than when they walked through the door. To achieve this we focus on a couple of key areas. Firstly, there’s insight. We focus on collecting, collating and communicating insight. To do this we use various methodologies from an online customer forum to accompanied shopping trips. The data is then transformed into information by benchmarking, tracking changes and aggregating data from various sources and overlaying external factors and customer behaviours. These rich insights are then shared internally, to ensure that every area of the business has the right insight in order to the changing needs of our customers. We recognised that a focus on data analytics and research, even of the highest quality is not enough. To be forward thinking and understand true behavioural changes the insight needs to be made accessible to those who can apply it to business opportunities. In the customer experience team we then use our insight to create and curate new signature experiences that express our brand proposition of world class service, digital connectivity and events with a difference. Joy jars, intugrams, the intu app are just some of the ways we provide moments of surprise and delight. We want our centres to provide extraordinary experiences for customers that encourage them to come back more often and stay longer. This in turn helps our retailers flourish. Finally, and most importantly are our people. We build a culture of success. How we behave is an important part of the intu difference and a big reason behind our success. We encourage and equip all our employees to look at things differently and creatively, to consider carefully and then to act boldly and genuinely. CB: Can you give me some examples of what you get up to? RB: You can break this down into a few areas. As I’ve already said, our people are key. We’ve invested heavily in brand engagement and providing world class service training to all our staff, equipping them with the skills they need to deliver exceptional customers service, and empowering them to deliver against our brand promise through their day to day activities. Then there is the physical environment we provide. Here, we’re creating spaces where people want to be and retailers need to be. So the focus of our short and medium-term development pipeline is on developing leisure opportunities and tasty places to eat. We also look at the smaller touches, such as the toilets, seating and car parking to ensure every touch point is a positive one. And then there’s intu.co.uk. intu is still the only UK shopping centre landlord to have a multichannel shopping platform that adds even more to the compelling shopping experience we already provide. So from the comfort of your armchair, you can experience the intu brand and all that that means. Already ranked in the top 10 of affiliate websites, intu.co.uk gives our customers the choice of nearly 500 retailers, from John Lewis and Marks & Spencer to Topshop and River Island. CB: That’s a great structure and must be very empowering for those employed to deliver the intu Customer Experience. From a customer’s perspective is it just the big things like size of centre and retailer choices that matter? RB: No but it is a big part of the picture. 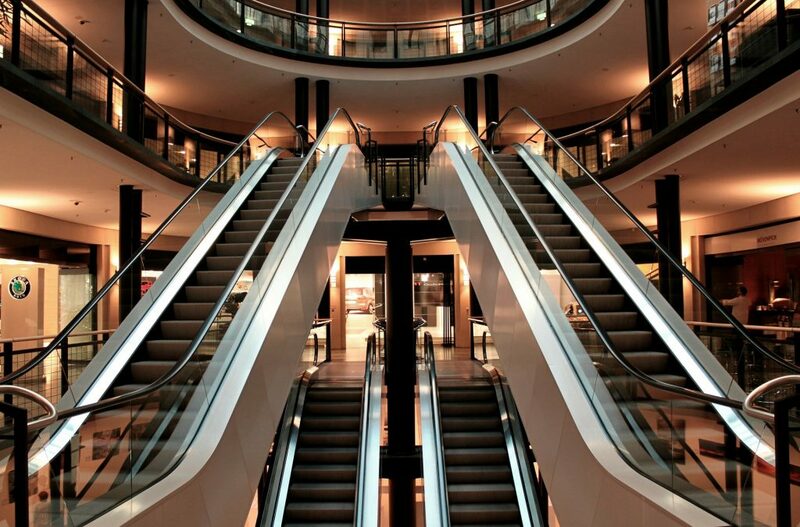 We own some of the largest and most popular shopping centres across the UK. That success comes from our asset teams curating a great retail and leisure mix that attracts people from further and for longer. Rather than just popping to the shops, people come to our centres for a full day out experience combing shopping with dinner and a trip to one of our leisure attractions. We also know a great customer experience starts with the small things and before you even arrive in a shopping centre. From planning your visit with the help of intu.co.uk, to how easy it is to get around the car park, to how welcoming our staff are. These issues are at top of our list of priorities. CB: How much does technology contribute to what is principally a bricks and mortar customer experience? RB: It’s as important as it is in any sector. Our customers are digitally advanced using their devices to shop and communicate in real time in the centres. And with many of our retailers specialising in this area we need to stay ahead too. We know that today’s digital natives want, in fact expect, to be online wherever they are and at intu it’s no different. By investing in a new fibre optic network for every centre we’re able to offer high-quality free Wi-Fi in all our malls. Our in-house digital innovation team has also developed the new intu app. It helps customers find their way around and gives them access to special offers based on their location in centre. It ensures the customer experience is consistent digitally as it is in person. CB: I’m a regular visitor to some of your shopping malls, I can recall various special activities catching my children’s attention. How are you using the estate to create memorable experience using 3rd party partners? RB: Creating and curating events with a difference is an important part of the experience at our centres and through our national brand we’re engaging in new partnerships to bring uniquely creative events that will encourage more customers to visit and stay longer. Our size and scale means we can work with the world’s biggest brands to put on events and experiences that really draw in the crowds, from tie-ups with film companies like Warner Bros. and 20th Century Fox, to promotions with MasterCard, X-box and Coca Cola. 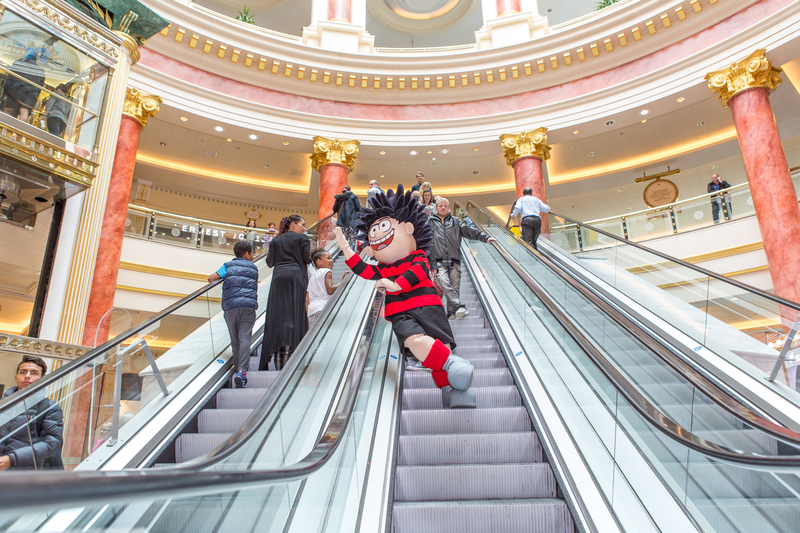 CB: It sounds like there is a philosophy which is underpinned with insight and rigour at intu. What is the perfect customer outcome and how do you achieve it? CB: That’s been externally insightful to hear more about the science and the art of delivering a memorable and commercially positive experience at intu. So, what can we expect in the future? RB: At Christmas we launched our consumer facing proposition of “Your kind of shopping”, and a new ad campaign introducing people to our six shopper types and their respective ‘bird’ characters, from the bargain hunting Hawk to the ‘Me me me’ shopper represented by the Flamingo. This approach is helping us to create an emotional connection between our customers and our brand. We’ll continue to develop this proposition and communicate this externally through national and local media. Insight will continue to be a priority for us, and we’ve got some great initiatives running looking at how we improve and evolve what we do, ensuring that our understanding of the customer continues to grow. Finally, intu.co.uk remains a focus, as we look at how digital innovation can help the customer experience, both in-centre and online. CB: It’s been a delight and an education Roger. I wish you all the best for the future and look forward to the latest Intu experiences the next time I head to the shopping centre. 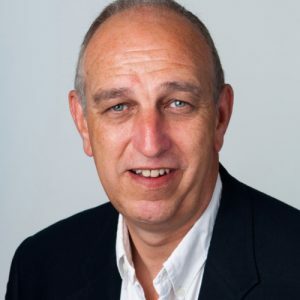 Christopher Brooks is a regular contributor to Customer Experience Magazine, Awards judge and Director of t Customer Experience Consultancy , Lexden.. Most companies now have a Voice of the Customer (VoC) programme in place. Often these are underpinned by technology platforms collecting customer data via feedback forms deployed following customer interactions with the business. These are served on the end of customer service calls, or emails triggered by customer purchase behaviour or links on the end of online chats, to name just a few methods. It’s become big business for the research-technology companies managing these systems collecting and analysing this data. At Lexden, we have been helping clients navigate their way through scoping, searching, selecting and set-up of new VoC partners. So, we know first-hand how impactful this insight is on the business and how quickly the business becomes dependent on effective VoC. Get it right and the insight will inform the direction of business travel. But if the quality of insight is impaired the whole Customer Experience (CX) Strategy can be in jeopardy. We invited some Voice of the Customer practising expertsto tell us what 2017 holds for them. In summary, our participants highlighted that VoC is going from strength to strength, with growth planned in 2017. However, we heard for it to remain integral to the business, more must be in terms of data collection techniques and analytics capability as well as improved application of VoC insights in the business. Below is the feedback highlightingareas which will receive more attention and where investment and improvement in VoC is anticipated to be focussed in 2017. Most respondents stated budget would rise in 2017. Speaking to one Head of Insight they said that previously they’d missed including VoC as a specific line on the budget submissions so had pulled in spare budget from ad hoc research to cover it, whereas now it has its own budget line. At Lexden, we very much see Customer Experience as a business model. One which if embraced by the board and will be aligned to objectives to drive greater profitability from more content and committed customers. So, whilst it’s still disappointing, it’s not altogether unsurprising that from a broader list of options three of the top five answers for what value VoC provides are principally tactical. In fact, only 1 in 10 CX programmes achieve their ROI* which is line with these findings where 11% use VoC to results to lead investment decisions. Some commented that VoC is a support indicator in their business, but as leaders become more comfortable with customer experiences importance and impact on customers they expect this to change. We run ‘Client Only VoC groups’(free to join – new entrants always welcome) where practitioners meet to share customer feedback challenges and solve each other’s problems. So, these results very much reflect the discussions in the groups. Answers 1-4 can be grouped as demonstrating strategic value of VoC. Which we highlighted was a shortfall on how VoC value is currently assessed. The primary focus will be on connecting VoC feedback to BI to express value in ways in which the business is more familiar such as sales and profit. We are aware that CFO’s are now challenging Customer Experience investment which is proving to be difficult to specifically account for. But like sponsorship or brand investment, CX must be accounted for. The newer CX measures can identify much better where ROI is achieved against CX investment. Conventional customer experience performance measures arenot designed to provide such an answer, but are being used in this way. And whilst Net Promoter Score, Customer Satisfaction and Customer Effort have their role in focussing colleagues on customers, we’ve seen numerous client examples showing they have a low correlation to customer share of category accountability. Along with this, the focus will be on getting the right customer insights to the right stakeholders internally in a format which is more accessible to them, such as business ready solutions. VoC often resides with Customer Insight which in turn is within the Customer Research function. For many it will also be about repositioning the function as a proactive intelligence centre in the business. Answer 5 – ‘sentiment quality’, is worth dwelling on. The quality of sentiment analysis as well as coding and categorising of verbatim is a hotly debated topic. During some of the pitch meetings we ran with vendors in 2016 it was an area we found some vendors falling short on. Many systems are not able to interpret expressions such as “it’s sic, hah!” as positive or negative leading to mis-categorisation or exclusion of some insights. There are now data collection tools which dynamically update questionnaires based on the customer’s feedback.But it’s still up there as an industry thorn to be removed. area where innovation will be driven from. Customers are bombarded with so many requests and it is impacting 1) who bothers to respond and 2) the quality of their response. From personal experience, I receive between 4-5 feedback surveys from various companies I’ve interacted with on flights, in restaurants, at hotels etc. per trip. In addition,respondents to our survey expect new data sources to come through. With the arrival of data capture such as heart monitoring activity, companies such as Fit Bit, PlayStation and Apple will be able to read exactly how you felt when you fed back. This will provide great context. Presentation of content features which is understandable when dealing with large amounts of complex data. 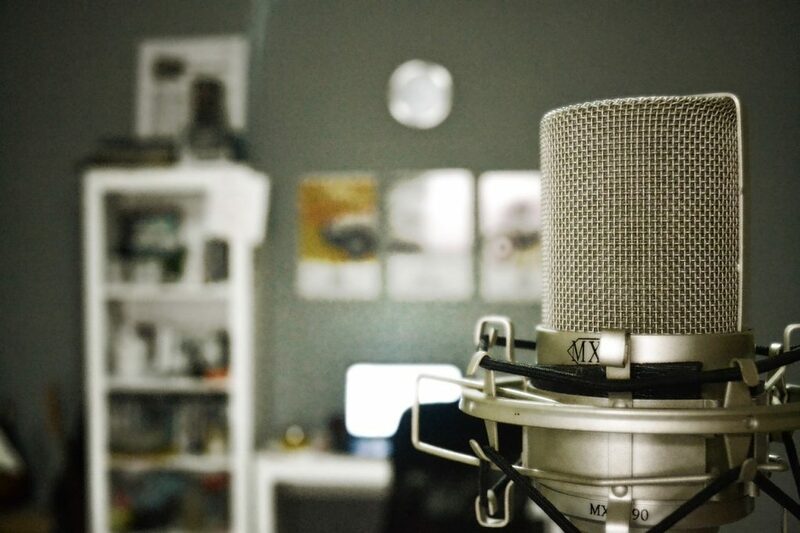 A decent VoC reporting tool can take weak data and cut through with a less familiar audience. More customer video footage, live customer interactions and ‘issue demos’ are ways we anticipate this will grow. We are currently trialling a simultaneous customer and employee feedback platform which enables the business to react quicker toa live data feed. It also has a compelling impact on audience confidence and trust in the data when it’s built by them. So, there we have it. The future for VoC is bright, for 2017 at least. With much opportunity to make the feedback programme a part of the extended customer experience. Hopefully, this will prove useful insight and the supporting narrative gives you some areas for further consideration. Source: Invitees to Lexden’s ‘VoC Priorities for 2017’ Survey. Posted on Lexdengroup.WordPress.com and shared with VoC LinkedIn groups in Dec 2016. 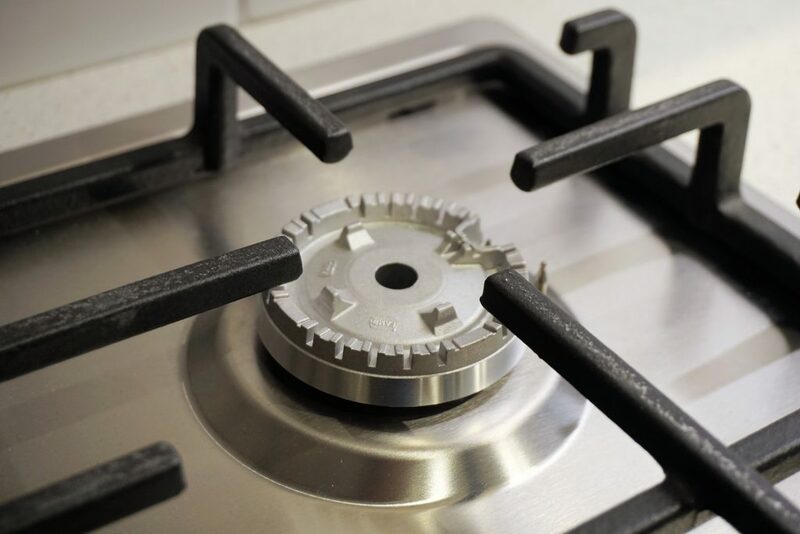 In the latest of Lexden’s Customer Experience Leader’s series, CX Consultant Christopher Brooks catches up with British Gas’ Richard Shenton to hear how they are switching on to CX. 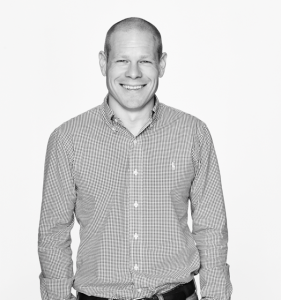 Richard is responsible for Customer Experience and Continuous Improvement within part of the most popular of the Centrica brands. With experience in sectors including Home Shopping, Financial Services and Venture philanthropy, I spoke to Richard three years after joining British Gas, to hear how they are working hard to put customers at the top of the agenda today, and what CX advancements we can look forward to in the future. Christopher: Let’s start at the beginning, how would you define customer experience? Richard: For me, customer experience is the perception customers have during their interactions with an organisation. As they say, “beauty is in the eye of the beholder”, and that’s what makes customer experience improvement so exciting. Christopher: What would you say are the key priorities for any company serious about putting cus-tomers first in their organisation? It’s a cliché, but buy-in from the top is critical, otherwise it will be pushed aside as soon as more commercially focused priorities come along. Leaders also need to be prepared to make some priority calls when it comes to striking a balance between commercial vs. customer focused improvements. The organisation’s CX strategy needs to align with its commercial strategy, they should even influence each other at times. Far too many organisations have ambitions to ‘grow’ when they don’t have the ‘basic customer experiences’ in place for existing customers. If alignment is achieved, organisations can use the customer experience as a vehicle to grow. Even then a strategy is useless, unless people within the organisation believe in it and care about it succeeding. Finally, articulate the commercial benefit of improving the Customer Experience. This not only helps when making some of those though customer vs. commercial decisions, but shows that customer experience can actually be a commercial activity. Christopher: 90% of CX programmes fail (source: Prof Dr Phil Klaus). Measuring the wrong things is cited as a key driver – what are your thoughts on this? Richard: I can see that. Organisations tend to measure Net Promoter Score (NPS) without gaining any actionable insight to improve. The other pitfall tends to manifest itself in leadership chasing a number or target for NPS. Often you can’t even find the person who set it or what it means for the organisation if you reach it. This ‘chasing a number’ can lead to tactical or superficial improvements that are not sustainable and don’t address the root-causes of problems. In my experience, defining the ‘full potential’ and working backwards is a much better approach than chasing a number that’s been plucked out of thin-air. Christopher: You’ve been driving customer experience and continuous improvement at British Gas. That’s a broad brief. What does it involve? Richard: Our approach covers four phases; ’Insight-Strategy-Delivery-Sustain’. It starts with the diagnosis phase using internal and external sources of insight. From this we can determine our ‘full potential’. Once we know where the improvement opportunities are and we size the benefit, then we articulate our aspirations and goals through our CX Strategy. We then deliver those interventions by working with our Customer Journey teams to understand where gaps exist today. Then our Journey Design and Continuous Improvement teams to help us deliver the changes. Christopher: How do you ensure improvements stick? Richard: We ensure we get to the root cause. We use team based problem solving activity to achieve this. We recognise customer needs in each Journey through the development of what we call ‘Customer Journey Blueprints’. These help articulate how the customer experience should look, and how we want customers to feel as they interact with us. Employee engagement is also a huge part of ensuring these changes stick, which is why we focus on ensuring behaviours encourage a customer-centric culture during any change activity. Christopher: Despite their importance to us, utilities come pretty low on customer’s agenda until something goes wrong. Is it all about firefighting? If we do our job well, then the customer should rarely need to speak to us. However, like any business we need to recognise when customers want to engage with us, and when they’re happy for things to just work in the background. Making a regular payment to your energy supplier isn’t anything particular exciting, however, when the time comes to look for a better energy tariff, customers need all of our support, to help them get the best deal that suits their needs. 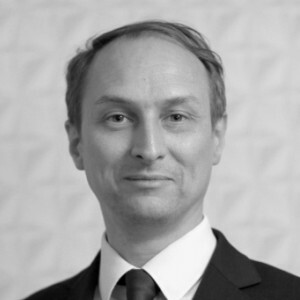 Christopher: Many organisations have set up group facilities to ensure best practice and consistency across various departments, products or even brands. How difficult is this to achieve and what are you doing at Centrica to make it work? It’s implicit within our org-design really. We’ve adopt a ‘Hubs and Spokes’ model, where best-practice and improvement approaches are supported by a centre of excellence, with the ownership sitting within the operational areas using common approaches and principles but tailored to the specific environment or culture. This year we’ve also started using the 5-Day SPRINT approach to designing customer journeys. This means we have our customers helping us design, test and refine ideas before we implement them. Christopher: CX is evolving fast, what do you think the major trends in your sector will be? Richard: For the energy sector, the biggest evolution is in Smart Metering. It turns our business model on its head. We’re no longer reliant on customers to provide meter readings. 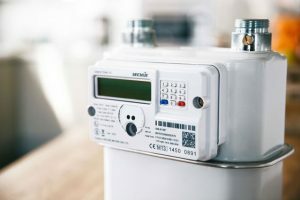 This means that energy suppliers really need to re-evaluate their current customer experiences and back-office processes in place to execute them. Christopher: There’s some great insights Richard, thank you. I’m sure anyone involved in CX will be inspired by what they’ve read. So my final question is, who inspires you in CX? It might sound trite to say Apple or Amazon, but take Amazon. They’ve cracked it with “One-Click”, “Subscribe and Save” and “Dash Buttons” – these all make customers lives easier – and ultimately lead to increased loyalty. Another brand that I admire is Ocado. 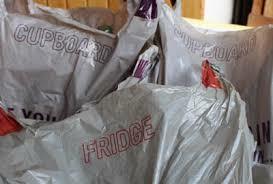 Christopher: Ocado doesn’t always come up so explain why they make it to the top of your list. Richard: Well it’s what they do to make your life easier. Ocado drivers take time when they deliver your shopping, nothing is too much trouble so the experience becomes personal. They’ve even gone as far as re-designing their carrier bags – it’s the most over-engineered plastic bag that exists. Handles are bigger than usual, the actual bag is like a Tardis and they’ve colour coded them by type of goods i.e. Fridge, Cupboard etc. This is all done to benefit the customer, however it’s also designed to help storage and collection for the delivery driver en-route. Ocado have also done a great job in thinking about their customers post introduction of the 5p carrier bag tax. Instead of offering a “bagless” delivery service they’ve opted to refund the cost if you return the bags to the driver at your next delivery. Christopher: Richard, it’s been great speaking with you. There’s much that many will be able to take away and look to put to good practice straight away. Good luck with your future endeavors. In a continuation of Lexden’s series of interviews with Customer Experience leaders, MD Christopher Brooks caught up with Kent Reliance’s Head of Customer Strategy & Insight, Stephen Plimmer, to better understand the role of CX at OSB. 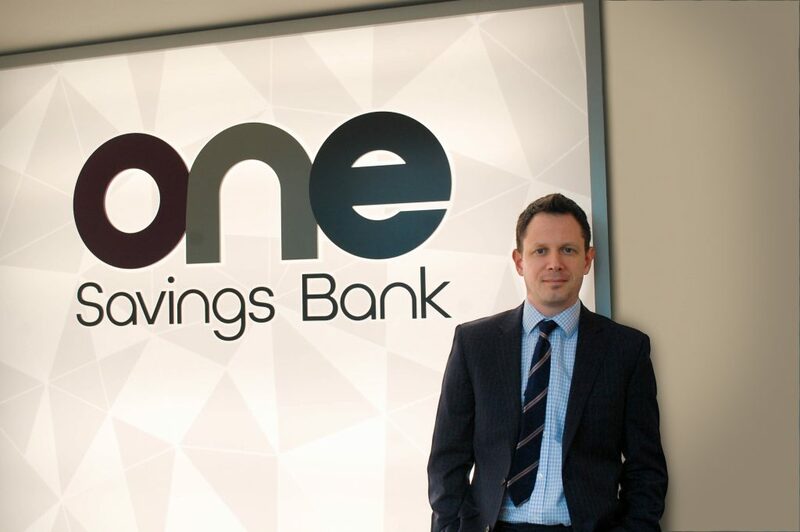 Christopher Brooks (CB): OneSavings Bank won several awards this year for its financial services. Does the recognition come as a surprise or is this something you’ve been working towards for some time? Stephen Plimmer (SP): For us, this was never a completely new way of thinking. The Marketing function always understood how important customer loyalty and experience was. But as a function, knowing that isn’t enough. The whole organisation has to be on-board and understand it and that’s what we’ve been working on over the last few years. 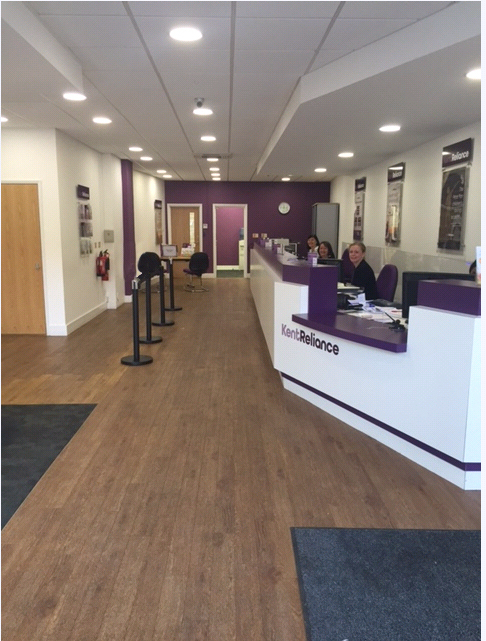 We’re lucky in that we have fantastic customer facing staff, both in branches and over in our call team. 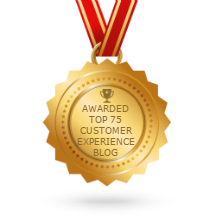 How we improved our customer service was a key part of our Customer Experience story and the recognition is all to do with their dedication and enthusiasm. Customer Service is such a key part of the overall customer experience. Our call team always wanted to deliver exceptional service, to go beyond expectation and to embraceCustomer Experience Management. Listening to customer feedback helped empower them to do so. CB: Would it be fair to say OneSavings Bank is a relatively new brand for consumers? With a very busy banking services market well established and a host of distinctive new entrants arriving, what is OneSavings Bank bringing that others have failed to do? SP: OneSavings Bank trades as Kent Reliance, a brand with over 150 years of heritage. When we started out on the Customer Experience programme we needed to know how important that brand name was to people and what it meant. We conducted several focus groups and surveys and aside from spitfires and the White Cliffs of Dover (something people always associate with the country) the recurring themes were around words like traditional, heritage and trusted. There was a clear affection for the brand and of course at the time, most high street banking brands were considered quite the opposite. We discovered that many customers wanted a brand they felt they could trust, a need for those values. We just needed to make sure we understood and lived up to them. It was from this research we were able to start planning our Customer Experience programme – by setting clear objectives. CB: Does a digital age increase the challenge for FS brands to deliver a great customer experience, or can it improve things? SP: It’s a fast evolving sector, mobile technology, greater expectations over speed of transacting; instant gratification and confidence in security are some of our greatest challenges. It is an incredibly competitive market now, with lots of new entrants. It’s about understanding your customer’s requirements and, if you can, staying one step ahead of that. I think that can only improve things but we’re not losing sight of the fact that not all our customers need great customer service delivered only online. Many expect the same level of service in branch and over the phone. It’s about delivering that consistency of service across all channels. CB: ICS (Institute Customer Satisfaction) figures show that customer satisfaction has dropped despite more firms investing in it, so do you think this is a reflection of customer expectations increasing, a focus on the wrong things by companies or is there something else to consider here? SP: I think expectation levels have certainly played a part. I also think that although Customer Service is an incredibly important part of delivering a great customer experience, I think many people still think customer service and customer experience are the same thing. Customer Experience is in fact the sum of the whole, customer service playing an important part in that, but it is also about brand perception, relationship building, understanding your customers – what they like and dislike. It’s about delivering the brand qualities consistency across all channels and during the entire customer life cycle. CB: Collecting the awards for CX demonstrates it’s a key priority of your overall proposition, how important overall would you say it is for OSB? SP: It’s very important. We continuously engage with our customers and measure experience at every touchpoint. For Kent Reliance this has enabled a business transformation rather than a marketing function revolution. The crucial part was getting all customer facing functions on-board, otherwise you are just producing metrics. Unless all customer facing functions, and ultimately the business strategy units understand what customers were telling us, then key indicators are pointless. 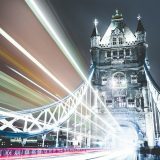 CB: With trust from consumers being typically low in FS, do you think delivering great CX in financial services has its unique challenges other sectors do not face? SP: There are so many alternatives in the FS sector now that product differentials and relying on customer inertia (as some probably still do) is no longer going to cut it. You need to be easy to deal with and you need to understand just how your customers want to deal with you. Gaining that understanding and then secondly delivering it is key. CB: Do you think CX is a viable approach to demonstrate and deliver a more trusted brand to consumers? SP: Trust was one of the key words associated with our brand and one of the traits we are naturally always working hard to retain. Our Customer Experience programme looks at these brand traits and makes sure we keep coming back to them in all we do. CB: Can you provide an outline on your winning entry and why you think the judges saw merit in your submission beating retail giants RBS and Santander among others? SP: The entry was around how we had engaged with our customer base, understanding their perceptions of us and what was important to them. This knowledge then prioritised operational change projects and channel development. When the guest speaker joked at the start of the evening about a poor experience he once had was probably because the hotel group in question had put an accountant in charge of customer experience – the joke wasn’t lost on my colleagues around the table. But actually, my management accounting background has proved incredibly helpful when it comes to Customer Experience programme. From the very start I wanted to track and prove the impact the programme was having. And I think it was that evidence and the clear targets we set ourselves that made the difference. CB: What would you say has been the key milestones or step changes at OSB in bringing customers more to the forefront of business decision making? SP: Understanding what our brand meant to customers – existing and potential new ones. From that setting clear objectives to make sure the actual experience was consistent with what our customers wanted. We gathered an in depth understanding of our customer base, from which we could segment and better understand their needs and how they wanted to transact with us. We worked with a third party survey provider which allowed us to automate and expand surveying, also providing us with alert functions to be able to gather feedback across all channels and touchpoints – some in real time. CB: Your CEO, Andy Golding has been associated with some more innovative Customer-led financial services companies in recent times. How important is it to have a CEO who backs the customer too? SP: Within Andy’s first week here he wanted to sit down with key internal stakeholders and understand what our customers were saying about us; what they liked and disliked and how they rated each channel. Since then, customer feedback has helped prioritise all operational changes – what the operational managers needed to change or improve. He receives detailed customer MI, not just metrics but verbatim – what his customers are actually saying about the business. 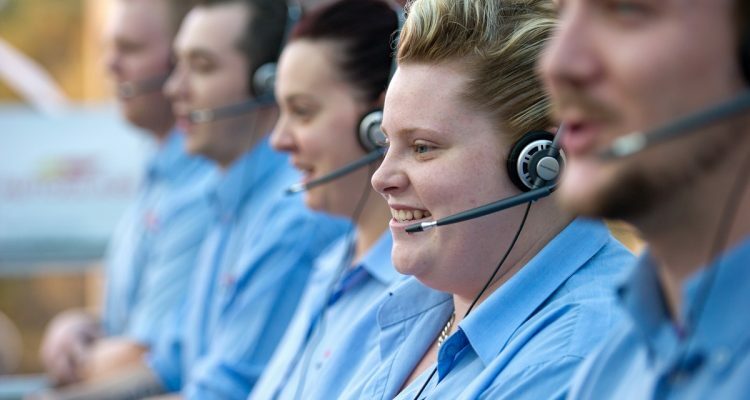 We needed the whole business on-board if our customer experience programme was to be a success and having a CEO who feels passionately about delivering great customer service naturally helps convince people. 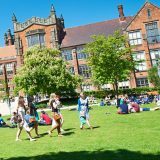 CB: What would you say is your proudest moment so far at OSB? SP: There are many projects and initiatives that we’ve been a part of, but I would say the work we did with one of the call teams stands out. New regulations across the mortgage market led to the call team struggling to answer even the simplest of customer queries; this led to poor CX metric scores and customer frustration. Working with various teams from across the business we were able to provide the call team members with training and simple to follow guides for dealing with customer calls. From call monitoring and understanding the issues customers were facing, we were able to improve the call team’s score dramatically; literally overnight. The call team were able to deliver a far better service which made them more confident which in turn we could see made a very positive impression on our customers. The team are still improving and learning. It was a fantastic ‘quick win’ which really got them engaged with the customer experience programme. CB: So the journey has started, what’s next for OSB and what can we expect to see you doing to wow your customers? SP: More employee engagement, we are redefining our desired employee behaviours and making sure they are aligned to the brand image. We are also increasing the research programmes, competitor analysis and using NPS from a more strategic perspective. CB: Who do you admire most in terms of CX – either FS or beyond, and why? SP: Some of the names here will probably be of no surprise, but in my experience it’s Amazon and John Lewis. Amazon make it easy to transact with and in terms of the whole business brand experience it’s John Lewis. For me, it’s the whole end to end process and in particular post sales. I’m confident that even if there was a problem post sale – it would get resolved. It’s about staff delivering the brand and ease of transaction. CB: We are talking customer experience; can you give me a personal example of brilliant customer experience from any part of your life, not just financial services, you can recall you really liked and remember? SP: I always struggle to recall a brilliant experience; like many consumers I can usually recall bad ones very easily. A certain laptop/tablet manufacturer springs to mind. CB: So getting it right for customers clearly matters to you at OSB. How do you keep track of what matters most to customers? Are these enduring or changing needs? SP: As we’ve said, this is a fast moving sector with lots of new entrants. For us, it was always more about the verbatim, monitoring shifts in verbal feedback patterns to know first what our customers wanted, liked or disliked and then from acting on that how that changed customer sentiment. Not just a score. A score is just a way of tracking, but it doesn’t tell you why it is what it is and how to change it. We have also recently launched an online focus group. A panel of customers that we can engage with on specific topics. This allows us to research a new product concept or test new literature to make sure we are getting it right. We also produce detailed journey maps, into which we put customer sentiment, scores measured at various touch points and data from the complaints team. We then use these maps when looking at key journeys with operational managers so that we can see how we can improve things – see what the pain points are for customers and how we can make these better. Sometimes this is as simple as making a letter clearer but then sometimes the whole process is re-engineered. CB: Finally, there are many firms just waking up to CX (customer experience). What wisdom would you give anyone starting out on their venture? SP: Have clear objectives by gaining a deep understanding of current perception of your brand and how this compares to where you want to position it. Let the voice of the customer prioritise change and get buy-in from the highest level. Also, demonstrate some quick wins, if there is mistrust of CX Strategy then demonstrating how effective it can be helps change perceptions. This doesn’t have to be a profit measure or a traditional CX metric, but more helpful is when you can evidence that you have reduced call wait times or complaints about a specific process – these are real impacts for both customers and staff. Finally, make sure you take everyone on the journey with you – staff and customers. Many thanks to Stephen and we wish him and Kent Reliance continued success. 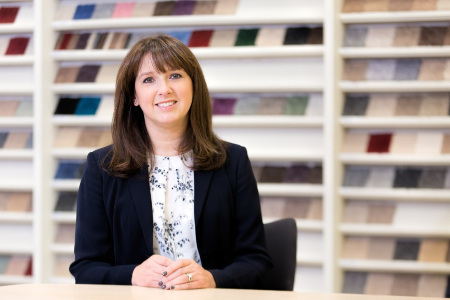 By Christopher Brooks: Continuing my series of interviews with heads of customer experience, I caught up with Toni Adams, Head of Customer Experience at Carpetright. 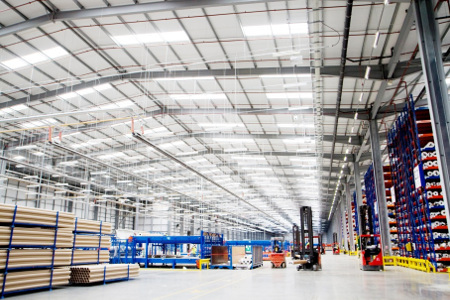 Based in Purfleet, Essex the retail giant serves almost 600 stores across Europe. From under one roof everyone including marketing, accounts, customer experience, the board, storage, customer service and cutting operates. They’ve come a long way in the last 30 years since the first store was opened in Canning Town, founded by Lord Harris in November 1988. As I arrived at their offices I was greeted by a delightful receptionist who showed a personalised greeting I’m sure would be envied by any high street retailer. Toni, who joined Carpetright from Nationwide at the start of 2015 took me on a guided tour of the business, where I soon discovered the delightful welcome offered at reception was a repeated trait from everyone I met. Following a trip to the new concept store close at hand and often visited by head office staff to remind themselves what customers experience, I wanted to find out how much of the recent return to profit had been down to a commitment to customer. CB: Thank you for an impressive tour. Earlier this year Carpetright posted an equally impressive return to profit across the group. Clearly you’ve invested in customer experience – is there a link between the two? Absolutely. We have spent a lot of time reviewing our customer’s journey as we needed to better understand what our customers wanted. It has helped us make sure the productswe stock and the services we provide are right for our customers and that they are available when customers want them. We have adopted an end to end journey focus – moving from silo to seamless. We’ve come a long way in a short time,realising the key moments of truth and aligning processes to them. There is always more to do, such as systems work to further enhance CRM. CB: You have joined Carpetright from Nationwide; a company recognised for their focus on customer service where much has been already complete. So how different were the challenges you faced when you started at Carpetright? When I came to Carpetright I was looking forward to the new challenge. The culture needed to shift from sales to service. We have put in place a new customer feedback programme called; ‘Do We Measure Up?’ and we use what we hear to put the customer firmly at the centre of the business. One of the first things to change with this programme was to take ownership of customer issues from stores. We have over 142,000 surveys complete and 97% are satisfied or highly satisfied. ‘Do We Measure Up?’ is embedded in the business which allows us to focus on delivering our customer promise of doing the right thing, which relates to our brand values. This has also meant internally thinking about stores differently. We think and treat them as our customers, which in turn means they think more about their customers rather than worrying about level of support from head office. CB: Is the expression ‘customer is king’ still relevant in retailing today? 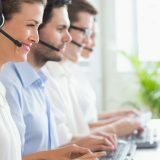 Trends from The Institute of Customer Service (ICS) show satisfaction levels have been declining over the last five years. So customer expectations are increasing. Product, price and processes can be copied, but customers won’t forget how the experience made them feel, so it the emotional differentiator. People buy people first. So the challenge is to ensure that the spark and connection that comes from great people understanding customers is a constant rather than sporadic. CB: From all you’ve said, CX is clearly becoming a priority at Carpetright? What would you say has driven this? Customer Experience certainly is at the centre of everything here. Wilf (Walsh, CEO) is passionate about making this happen. He personally attended my interview which said to me he was serious about CX. We have a top down leadership approach surrounded by customer-centric people who reinforce our value of exceeding expectations by putting customers first. Our feedback shows this is happening. The content at our internal roadshows is now focused on the customer. In fact, this year’s annual conference is prioritising customers, whereas beforehand that would have been sales. CB: Are there any specifics about your sector that makes creating a brilliant customer experience more challenging than other sectors? We are in our customers’ homes. It’s a sensitive purchase so how we handle it is very important. We look to respect our customer’s home as if it was our own. CB: Has digital changed how you deal with customers? 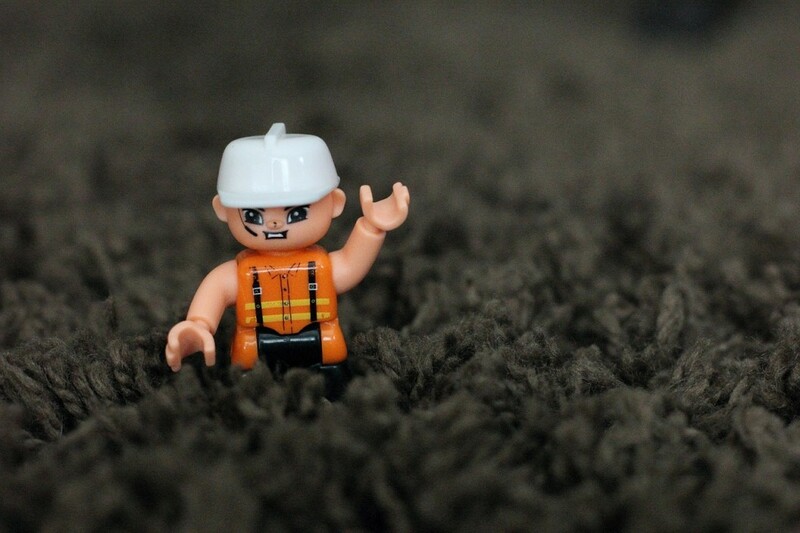 Customers understandably want to touch and feel carpets and other flooring products. But we are using digital to make other parts of the journey easier, such as researching products. Initiatives such as centralised estimating allow customers to book a slot for a Carpetright estimate based on who is available in the area, rather than the estimator being solely linked to the store they visited.We are particularly pleased with how well the ‘find an estimator’ initiative has worked which has meant customers are visited by an estimator earlier. We’ve been shortlisted for this year’s CX Retail awards, which is great for us. CB: You’ve been involved in customer experience for much of your career, so what do you find most interesting about this area? It’s part of who I am. My parents ran a hotel, so I grew up in a service environment. I’ve always been considerate of customers because of it. I love the challenge of making something work better than it did and seeing the results. CB: So are you pleased with the progress Carpetright is making? We’ve made good progress and huge changes. It’s a cliché but we are on a journey. We want to ensure our customers have a seamless, hassle-free end to end journey with great service each and every time. This means customer performance targets managed through HR, aligned to our customer promise to continue to drive the right colleague behaviours for our customers. Colleagues who have demonstrated ‘going the extra mile’ for customers’, have been nominated for our Customer Champion Award presented at the annual conference. Wilf rang each nominee up to tell them they had been shortlisted which he said was amongst the best things he’s done since starting. 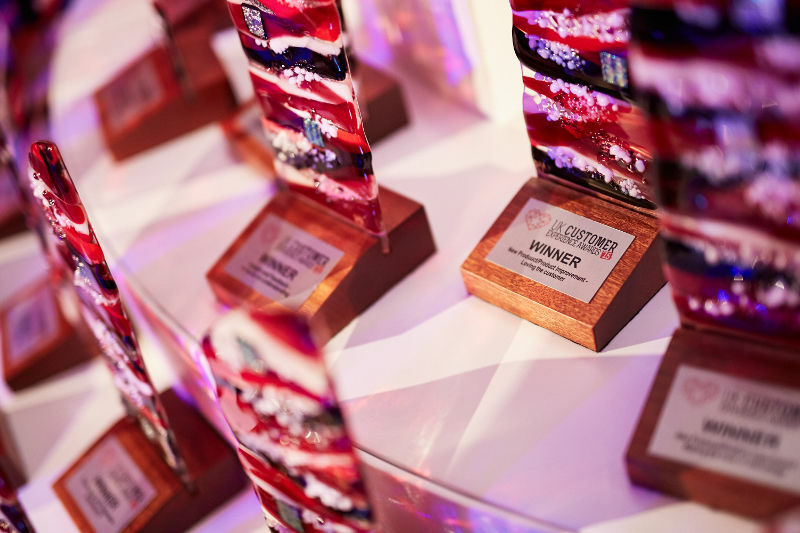 In fact, the winner will become a ‘customer ambassador’ for the year as an example to all others of how committed Carpetright is to putting customers first. CB: It’s been great hearing about how the customer first philosophy invested in Carpetright is measuring up for customers. Is there any wisdom you have for anyone starting out on their own customer experience venture? I’d say you need to decide what you want the customer experience to be and then you can build your business decisions with that in mind. Also make sure all areas work together from the start and throughout. It’s a company-wide thing rather than silo driven. CB: Thank you for your time and candid answers. Best of luck with your future experience endeavours and award entries! On 25th September I sat down to watch five heavyweights of banking take each other on in a battle of customer experience supremacy. Visa, RBS, NatWest, Virgin Money and Nationwide presented their customer experience initiatives to me and four fellow judges. As MD of Lexden, an independent customer experience agency, I am used to working with senior stakeholders to demonstrate the advantage of improvements. But that didn’t stop me feeling anything less than extremely privileged to chair the group. As judges we receive the written entries a couple of weeks before to review and grade. Then on the day each company presents their entry. It’s then you get to see the passion for putting the customer first and can share the challenges they’ve had to get to this place. It’s inspiring and makes you realise we work in a brilliant industry when you watch the fabulous entries unpacked and presented for customer and commercial benefit. Having judged discipline awards such as direct marketing, PR and loyalty you find companies are separated by size as well as sector. 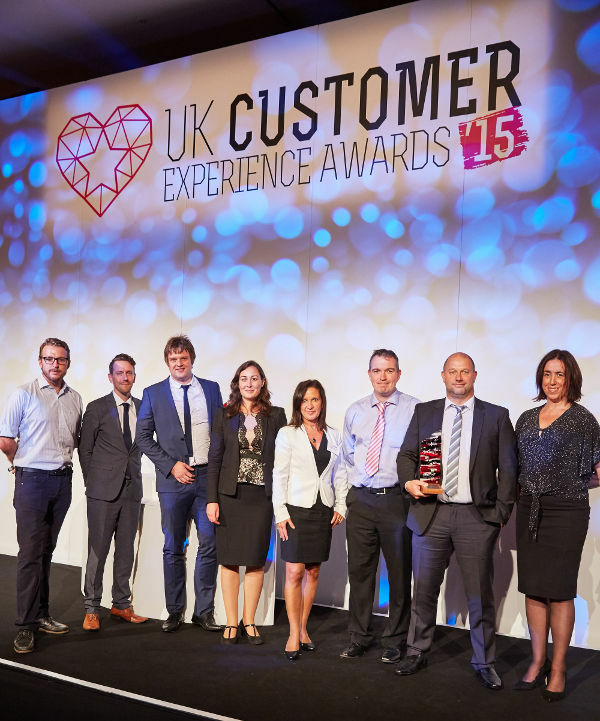 With the CX Awards all sized companies can compete alongside each other for categories such as ‘best use of customer insight’ or ‘team of the year’. I was chatting to a team from a smaller finance processing house who had been up against high street brands from other sectors, which made them feel great even though they hadn’t won on this occasion. The reason this can happen is unlike many other disciplines, the customer is the common currency here, which results in such diversity. On that point of ‘broad cross section’, there is still something that every one of the 2,000 people Awards International attract (and wonderfully look after) at this event has in common; everyone is genuinely passionate about putting the customer first. Some awards collections were delayed as the recipients were in floods of tears such their commitment to that cause. It was emotional to see how much companies want to do the right thing. Of course it’s more than just interesting for us at Lexden as an Independent Customer Strategy Consultancy helping clients to achieve just that. I saw many clients, former colleagues and friends at the event. But two stood out for me because they have offers which are not core to customer experience, but highlight how this area really is growing into a leading industry in business and marketing. I met up with judges, Jo and Kate. They run a growing recruitment company called CX Talent DEDICATED to customer experience. The importance of the DEDICATED bit cannot be stressed enough. Having helped a client recruit a customer insight and customer experience team from a generalist recruiter before it is a nightmare. With two minutes I could tell they knew their onions and their text analytics and their NPS from their EXQ. No recruiter should be without them! I also met Millie and her colleagues from Boost Marketing. A company dedicated to helping people win awards – what a job! They are fiercely secretive about who they work with but they seemed to be smiling an awful lot when winners were announced. My conclusion being they are very successful at what they do! 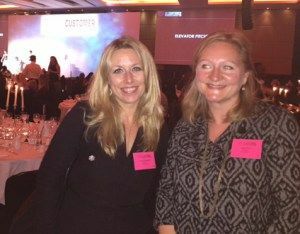 The conversations I had at our table with Millie suggested a real depth of understanding and interest in CX, which is reassuring if you appoint them to help shape your award entry submissions or help with your award entry presentation. So there we are, why I enjoy these awards so much. Fortunately the industry is growing and with the quality of submissions each year improving I conclude we are in good shape too. I am looking forward to helping clients win more awards and judging even better entries as the event which celebrates the very best the CX industry has to offer. 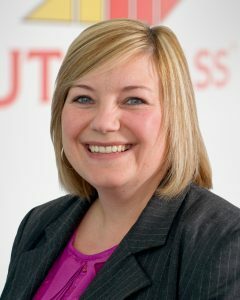 The utility sector has been through some tough times, with press scrutiny, regulatory pressure and customers who are starting to vote with their feet, but despite this backdrop npower, spearheaded by Kelly Iles (Head of Customer Experience), is determined to embed a customer first strategy in order to gain back the trust of customers in the energy sector. 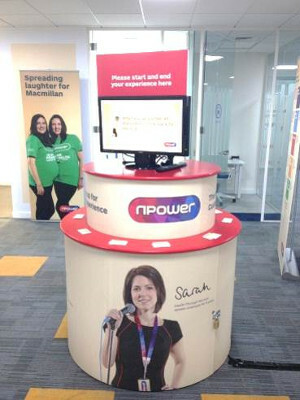 Christopher Brooks, Managing Director from Lexden Customer Strategy Consultants caught up with Kelly to find out just what npower has in store for its customers. Christopher: You’ve been with npower since 2012. It’s a sector which is striving to provide better customer experience and has a way to go in this space. As head of customer experience at npower, what are your key responsibilities in driving npower’s customer agenda forward? We have come a long way, npower has put a lot of focus and effort into making it better for our customers but it’s fair to say there’s still much more work to do. Our mission to achieve this should never stop. My team’s remit is to be the voice of the customer, championing what they want, need and deserve. I have the accountability and authority to set our customer experience improvement agenda which for us right now is getting back to the basics and delivering the energy experience that customers expect. This means addressing core processes, people capability, systems, communications as well as changing the culture of the organisation. It’s a pretty full on role! Christopher: Already I can tell you are clearly passionate about customer experience, what do you find most interesting about CX? I love the fact that CX touches every facet of the business. 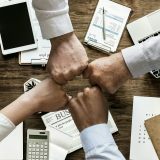 There are no hiding places; all areas of the business are involved in the delivery of a seamless experience and to make it work, activities need to bring business and functional silo’s together, which has always been a management challenge. Christopher: So what is your ‘customer first’ ambition for the company? We’ve only been serious about building CX capability in the last 3 years. It requires a wholesale business transformation and we continue to move through the different stages of maturity. Whilst this started as a programme ultimately building an enduring capability and culture as well as a well-recognised discipline is our aim. The core stages are; 1) building a customer insight capability – to understand the issues are customers experience and to measure our progress and performance, 2) map the customer journey to understand when, how and why these issues occur, 3) build and execute an effective improvement plan and finally, 4) embed the methodology, approach, ethos, and culture so that it becomes everyone’s responsibility. 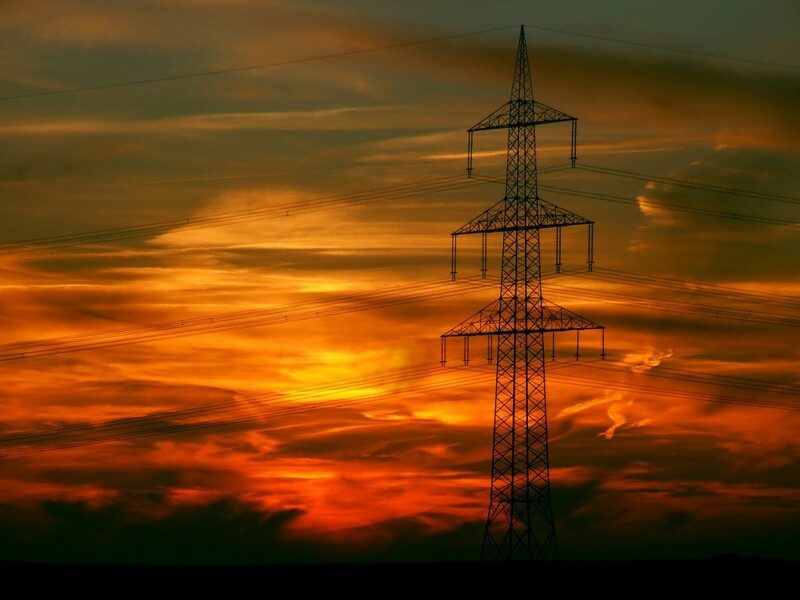 Christopher: What’s driving CX up the utility sector’s agenda? CX has become a core priority across the entire sector. As choice widens, customers become less inert this results in, energy providers have margins being squeezed and commoditisation increased, however for sustainable growth pricing can’t be the only answer. As a result providers are recognising that offering a good service may mean customers are less likely to shop around and might move away from choosing their provider based solely upon price. Ultimately retention of customers becomes key and delivering a great experience will help to build long standing sustainable customer relationships. Christopher: In the insurance sector the metric is ‘effort’. 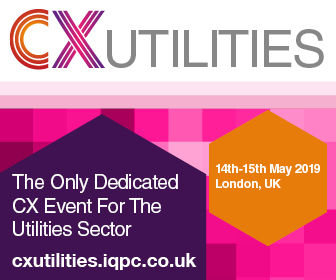 In a sector such as utility which is very much an essential service, what are the priority areas of CX improvement to impress customers? Opportunities to delight and impress customers are far less than in other sectors such as retailers. Like insurance firms, the key is to make it as easy as possible for customers to do business with us, effortless in fact. Developments such as SMART and the introduction of digital technology for example our new energy app allows our customers to track usage, manage their energy usage and ultimately keep costs as low as possible. For us it gives an opportunity to build engagement with our customers as well as giving us data that can be used to build a better picture of our customers upon which to offer more targeted products and services. Christopher: It sounds as if there is much going on, can you give me an example of a one of those improvements made for customers? Listening to our customers we understood the anxiety that a house move creates. During any home move, Customers have lots of other things to sort. Managing their change of energy to their new property is the least of their priorities. as well as their energy. Our processes made customers contact us at a time suitable to us and we were only prepared to process Home moves by our telephone channel. Ultimately we quickly realised we could do a lot to make this process much less effort and one less thing to worry about at the time of the move. As a result we’ve digitised the whole journey and removed the restrictive contact window so that customers can inform us of their home move when it suits them. At the same time we built key checkpoints so we are able to reassure the customer that everything is going through as planned. Christopher: You’ve mentioned a number of customer improvements being made. Where do the drivers for improvement come from? Our Voice of the Customer programme is complimented by our Voice of the People and Voice of the Process programmes. This gives us a complete view on what’s happening to both our customers, our people and why. By bringing together multiple data sources and developing insight, we are able to clearly see the priority customer issues that need to be addressed. Our focus is on what matters to the customer. Christopher: What are the contributors to your CX programme you value the most? There are many areas, but three I’ll highlight. Firstly, it needs the support and buyin from the snr leadership team which will ensure that CX remains on the agenda. The leadership team need to take ownership, set the agenda and ensure followership. Secondly, our people on the ground. These are the team that deliver the experience to the customer day in, day out. They also know what the issues are and often how to fix them. Listening, empowering and giving them the accountability to make a difference for customers is vital. Finally, the ability to upskill and embed CX capability into the DNA of the organisation. For this I look to my team who have the right skills and expertise to work across the business and define what good looks like. This could be practically how you delivery change in a customer centric way right through to building the right operational lead metrics to monitor and evaluate CX change. Christopher: Are you pleased with the progress you are making? We’ve come a long way but CX isn’t a project, it doesn’t stop. There is always a better way to serve the customer. Real-time feedback as a measure shows the power of ‘in the moment’ feedback. It gives you the opportunity to address a poor experience and to build advocacy through heroic recovery activity. To take a customer whose expectations haven’t been met and then exceed offersa powerful opportunity to build loyalty. Christopher: Who do you look to for customer first thinking inspiration? For me, I think those companies who just make the whole interaction effortless impress me the most. The AA breakdown service – I was on my own when I found myself stuck on a side of a road, they asked me specifically whether I was accompanied and then applied a very targeted to experience based upon my situation; text updates to manage what’s going on and even a message to help me recognise the recovery vehicle (driver flicking his lights)importantly it was executed perfectly and against the expectations met. The winners in the industry will be those who get the basics right, make interacting with the company seamless and then ongoing, build a proactive relationship with the customer that he or she values. Using data and insight will be key so we can put customers back in control. Ultimately, helping them to manage their energy more effectively. Christopher: it’s been so insightful, your passion is infectious and your expertise evident. So how could you help an organisation just waking up to the potential of customer experience? Okay, so I’d have to say strong leadership is key. It can get ugly and you need to be prepared to go through the journey. Leaders need to believe and recognise the phases you will go through. They will also help ensure you get your message out there in the organisation. Also it takes time – there are no short cuts. Many organisations transformation programmes can take up to 10 years. Perhaps most important of all, be relentless in your quest. Never give up. It’shard work but the rewards are great. Christopher: Kelly that’s great. I’ve seen you at the CX Awards, so you are obviously doing the right things. It’s been a pleasure hearing more about where you’ve come from and where you are going. All the best with your mission. Thank you. Utilities: Is Tesla Friend or Foe?